These 6 piece puzzles are also pencil erasers. The perfect addition for any pencil case. 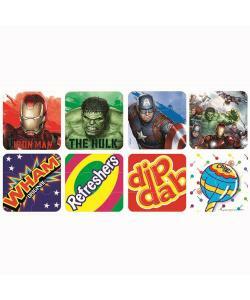 8 assorted styles, picked at random: 4 Marvel styles, 4 retro sweet styles.